Corn with wind and water damage and leaves dropping, possibly from frost damage. 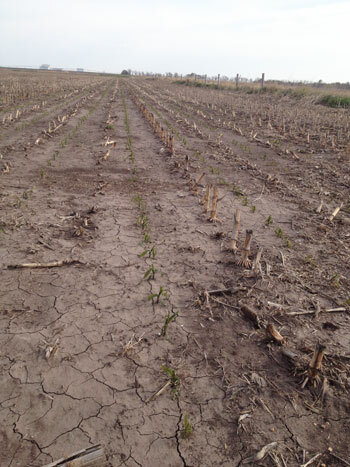 If you're wondering how your corn and soybean fields are doing following Friday's cold temperatures, check out these resources recommended by UNL Extension educators. Keith Glewen, extension educator in Saunders County in east central Nebraska, noted "We are more concerned about soybeans as their growing point is above ground versus corn whose growing point is below ground until the V6 stage of growth." Several educators recommended patience to give the crop time to recover, but not so much that replant yields would drop precipitously.